Artifex Press and artist Tim Hawkinson are pleased to announce the publication of Tim Hawkinson's digital catalogue raisonné. 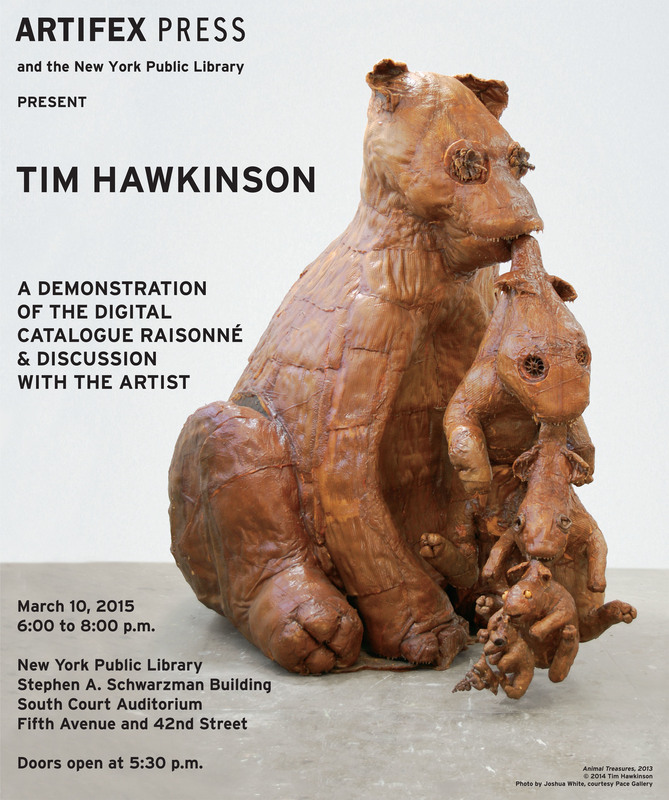 To mark the public launch of this catalogue, the New York Public Library will host a discussion between Tim Hawkinson; Hannah Barton, Editor of the Tim Hawkinson catalogue raisonné; and Peggy Fogelman, Acting Director of the Morgan Library and Museum, on March 10, 2015, at 6PM (doors open at 5:30PM). An introduction by David Grosz, President of Artifex Press, opens the event. The event features a demonstration of the catalogue, an in-depth look at the breadth of Hawkinson's career, and an exploration of the collaborative formation of the publication. The Tim Hawkinson catalogue raisonné is the latest example of Artifex Press’s “living catalogues raisonnés,” the publisher’s new take on this essential, authoritative artist catalogue, which documents in real time the most up-to-date incarnation of an artist’s complete body of work. To see the full New York Public Library event announcement, click here.